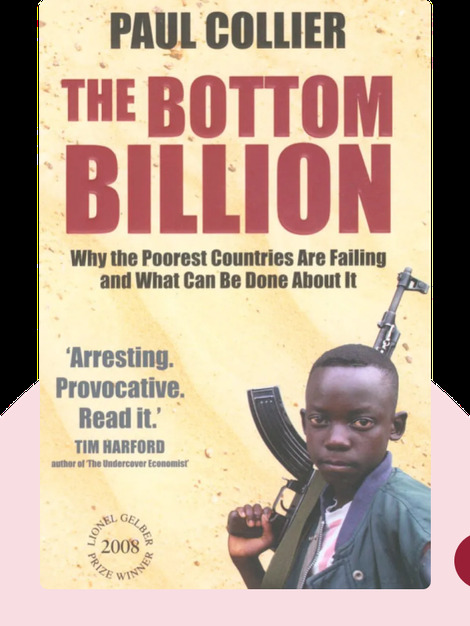 The Bottom Billion (2007) focuses on the specific problems of the 50 poorest states in the world and the traps that keep them impoverished. These states are drastically behind even developing nations and are in serious need of help from wealthier nations if they are to ever achieve economic self-determination. Drawing on his original research, Collier points out the pitfalls of the conventional methods for dealing with this extreme poverty and offers unique policy recommendations that cater to the unique struggles faced by the world’s poorest nations. 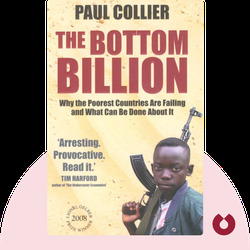 Paul Collier, formerly Director of Development Research at the World Bank, is Professor of Economics and Director of the Centre for the Study of African Economies at Oxford Universities and author of Wars, Guns, and Votes: Democracy in Dangerous Places.